Our nutritionist, talks about introducing your little ones to nutritious eating – from nourishing weaning right up to healthy snacking with our Little Yeos range of organic yogurts and fromage frais. Starting solids is undoubtedly a milestone in your baby’s development. But it can also be a time that leaves you feeling nervous and worried. Good news then that weaning is easier than you think. The aim is to gradually introduce your baby to a wide range of tastes and textures, increasing the amount and variety of foods they have over time so that by their first birthday they’re enjoying three balanced and nutritious meals a day with snacks. Click here to check out some of our recipes to tempt your tots. When weaning your baby it’s not always easy to know when to start. Health experts, for example, recommend waiting until your baby is six months old before giving them solids. Before this time, breast milk or infant formula provides all the nutrients a baby needs. But from about six months, babies start to need more nutrients as they grow – that’s why it’s a good time to introduce them to food. Choosing the right sorts of foods is important, too. The preferences that babies and young children develop in the first few years can stick with them for life so make sure you provide plenty of nutritious foods – and a balanced diet – right from the start. Good first foods to offer include baby rice mixed with your baby’s usual milk and mashed or soft-cooked fruit and veg like bananas, apples, avocado, melon, carrots, parsnip, butternut squash and potatoes. Next you can offer soft, cooked meat like chicken, mashed fish (making sure it contains no bones), mashed hard-boiled eggs and cooked lentils, rice and pasta. Plus you can try your baby with full-fat dairy products like fromage frais and yogurt – but make sure you pick ones with no added refined sugar or only small amounts. Enter the children’s range from Yeo Valley! 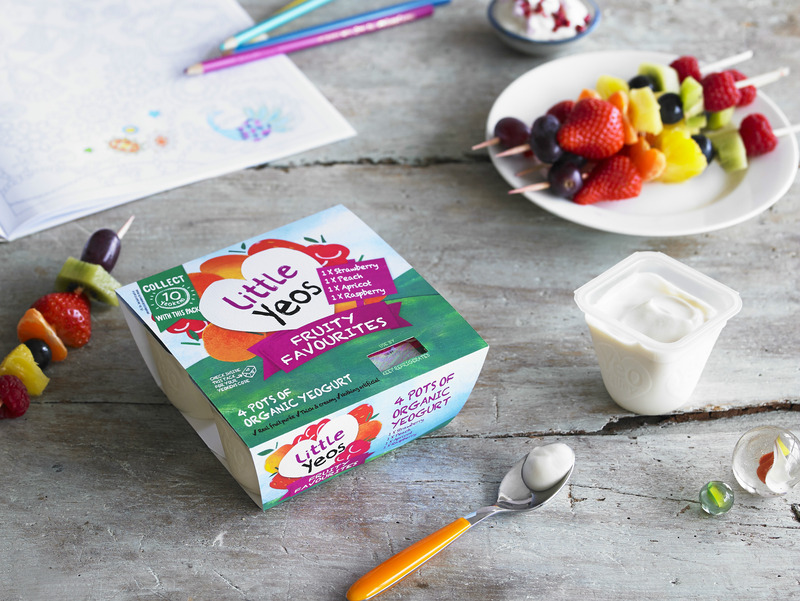 Little Yeos pots of thick and creamy organic fromage frais have been specially made for little hands and tummies and come in a convenient pack of six. If you’re keen to avoid products with a high level of sugar you can rest assured that all of the Little Yeo’s fromage frais range are sweetened with nothing but real fruit and a dash of concentrated grape juice. As your baby grows up, so too do Little Yeos, with our 4 packs – bigger pots of organic yogurt still thick and creamy! These come in 2 different packs; our Fruity Favourites and a rolling Ltd Edition, keep a look out for our latest flavour! 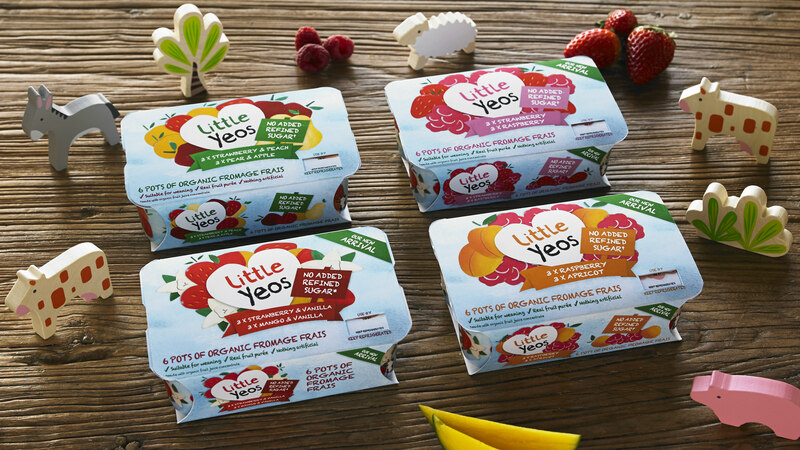 All Little Yeos yogurts are free from artificial sweeteners, colours and preservatives as well as being organic. The result: you can feel confident you’re giving your little ones a good start in life. So now you’re familiar with the theory, enjoy the practice! Introducing your baby to the wonderful world of food should be fun and pleasurable so that they grow up with a love for delicious and nutritious foods that’ll put them on the road to good health for life.